Membership of the Hobby's club entitles you to 5% discount on all purchases. Membership is for the period September 2018 to August 2019. 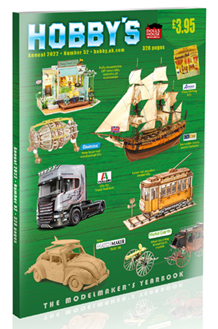 With this you will automatically receive, free of charge, the 50th edition of our unique Modelmakers Yearbook which will be available in September 2019. We also send out a newsletter at Christmas.